Born in Baltimore and raised in Carroll County, Kevin served our country in the Air Force right after graduating Liberty High School in 2003. After his military career ended with an honorable discharge in 2007, Kevin decided to enter the commercial and residential construction industry. 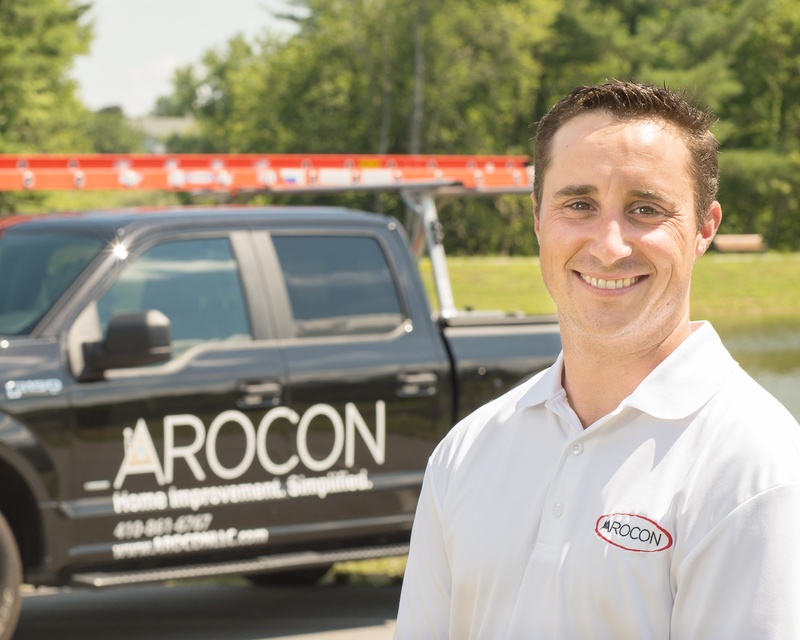 In 2017, Kevin joined AROCON Roofing and Construction as a Project Consultant, where he helps solve his customers' trickiest roofing problems by putting together comprehesive plans for each unique home improvement need. Kevin is a major fan of all things Baltimore and Maryland, and is a loyal supporter of both the Orioles and Ravens. Kevin currently lives in Westminster with his fiance and dog, and enjoys golfing and going to concerts. Excellent workmanship, very professional. Great customer service! Outstanding job! They were courteous and professional.